Sleep deprivation and reaction time go hand in hand. Ultimately, those who are not getting enough sleep will see a significant impact on their physical and mental abilities. In some studies, the reactions of someone who is significantly deprived of sleep will be similar to the reactions of those who have consumed alcohol. A Stanford research project, headed by Nelson B. Powell, DDS, MD, showed that those who were sleep deprived and then had their reaction times tested faired nearly as poorly as those considered legally drunk. This study was the first to show that there was a severe impairment of the individuals even at mild to moderate level of sleep disturbances. The sleep study was aimed at showing the importance of sleep in how it affects the workplace. Pilots who do not get enough sleep are likely to make mistakes. Truck drivers who do not get enough sleep are likely to cause highway accidents. Other industries are just as impacted including train engineers, security personnel and others whose physical senses must be put in place. The study went as far as to say that a truck driver, airline pilot or train engineer who consumed alcohol before working would fair just as well as those who got little to no sleep. According to reports from the British Journal Occupational and Environmental Medicine, getting anything less than six hours of sleep per night can seriously affect your ability to react to situations. It poses a "very serious risk" to your health and to those around you because you are less likely to respond fast enough in situations. In the study, it found that drivers are the most vulnerable. Those that drive after being awake for 17 to 19 hours straight, performed very poorly. In fact, they performed worse and were more vulnerable than those who had a blood alcohol level of .05, considered by many to be alcohol impaired. Road accidents are often caused by sleep deprivation. 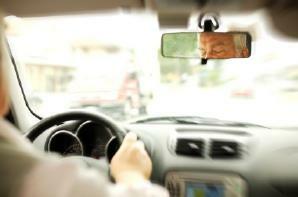 The same study found that up to 60 percent of road accidents were caused at least in part by sleep deprivation. The results of the study suggested that while countries and states put in place limitations on driving while drunk, the same is necessary for those driving sleep impaired. Sleep deprivation and reaction time is the direct result of the effect not sleeping has on your body. It can affect each person differently and each person in several ways. In most cases, the problem is not a muscular one, but a physiological affect. The brain isn't getting enough time to rest, which in turn causes it to react slowly to stimuli. This is the reason that, according to the National Highway Traffic Safety Administration, there are over 100,000 traffic accidents every year that are caused by fatigue. In their study, they found that many of the errors made happened after just one night of lack of sleep, but at just two nights of inadequate sleep, the number of errors made jumps dramatically. Overcoming sleep deprivation is necessary. It is important to note that not only do you put yourself in harm's way when you do not get enough sleep, but those relying on you to perform these tasks are also affected.